It is easy to get into comfortable routines as a couple and forget to take time out to strengthen your love. 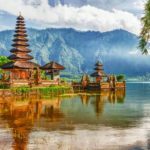 Fortunately, if you live in Georgia or are considering a visit to the state soon, there are lots of fantastic romantic getaways for couples. Whether you are newlyweds, or have been married for some time, these 7 Georgia romantic getaways beckon a passionate escape, if only for a weekend. 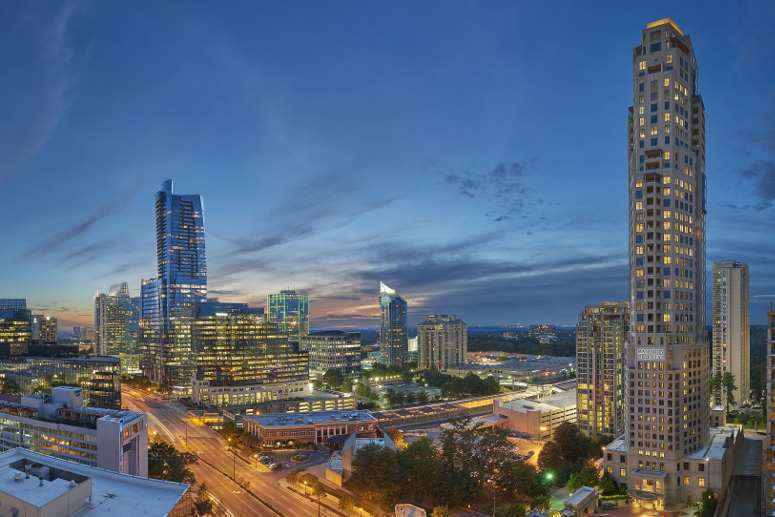 Located in the fashionable Buckland district, 5 miles from the High Museum of Art, Mandarin Oriental’s posh contemporary accommodations promise romance in the city. Couples get to enjoy a delightful romance package, which includes a box of heart-shaped chocolates, chilled champagne and a petal-strewn bed with their rose petal turn-down service. How about breakfast in bed? Well, that too is available. The hotel closely monitors Atlanta’s hottest events, and regularly tailors packages that include tickets to such events as shows at the Fox Theatre or Atlanta Ballet performance at the Cobb Energy Performing Arts Center. Before stepping out to paint the city red, relax at the spa with packages like side-by-size massage therapy with a glass of bubbly or a couple’s soaking bath. Nothing ignites romance like a trip to the nearby Atlanta Botanical Garden. Grab a light bite at the hotel’s chic café bar before winding up your day keeping fit at the fitness center. You cannot help falling in love with the Mansion on Forsyth Park, a Kessler Collection hotel. Located in a Victorian Romanesque mansion, the Mansion on Forsyth Park is touted as Atlanta’s most recognized hotel. The hotel features 125 luxury accommodations and over 400 original pieces of art spread throughout the mansion. If you are looking for a great Atlanta romantic getaway, check out this unique hotel. 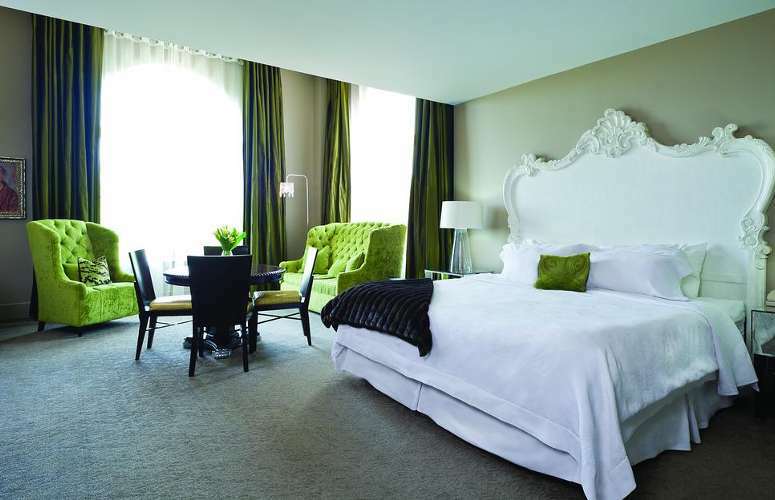 Guestrooms are equipped with modern luxuries combined with custom furniture and lush fabrics. Relax and enjoy musical performances on the classical grand Bosendorfer piano or listen to jazz in Casimir’s Lounge while enjoying your cocktail. And if cooking is your thing, stop by at 700 Kitchen Cooking for some cooking lessons. 700 Dayton Restaurant features delighting menus and extensive wine lists. Forsyth Park Café, the perfect spot for a light breakfast or lunch, offers relaxing views of the cast-iron fountain. There is no better place to unwind and see off the evening in company of your beloved than at the Poseidon Spa. If you are looking for Georgia romantic getaways, look no further than Mansion on Forsyth Park. 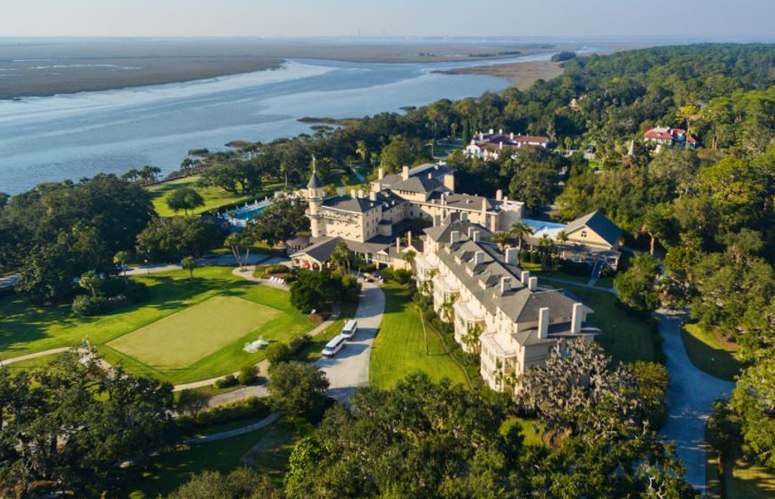 The Jekyll Island Club Hotel is the perfect romantic getaway experience shaped and nurtured by over a century of devotion to service. Set on a scenic barrier island, this relaxing resort allows parents to enjoy romantic moments while kids participate in fun activities. If you are planning a family vacation this summer, kids aged 5 to 12 will gain access to the Club Juniors summer program for unique and entertaining adventures like dolphin cruise. Sample exotic dishes from the 3 on-site restaurants. Select from accommodations in 5 distinct settings. Kick back and relax at the outdoor pool. Delight is superb recreation from horseback rides on the beach to croquet on the resort grounds, and from charter fishing to championship golf. At Jekyll Island Club Hotel, there is only one true description of romantic experience: Yours. 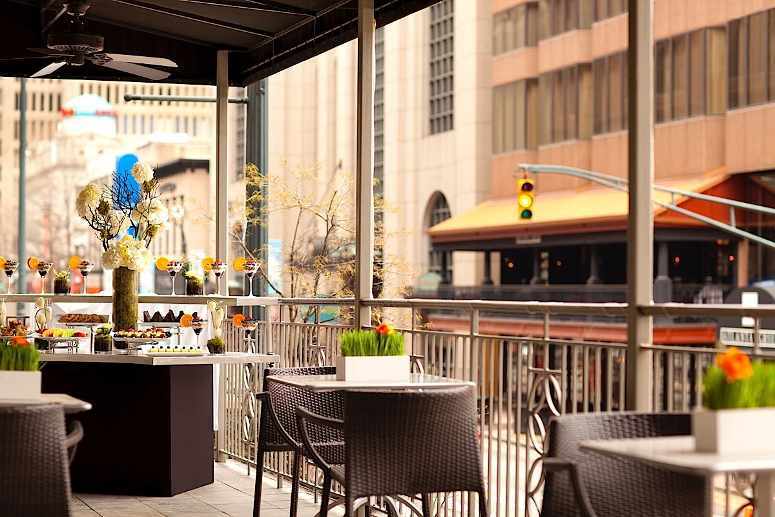 Located in the heart of downtown Atlanta, the Ellis Hotel offers the perfect romantic setting for couples looking for a place to relax, unwind and enjoy special moments together. Its luxury accommodations strike the perfect balance between contemporary and classic. The package combines a King room with champagne, rose petal turndown service and strawberries. And things get a lot better with breakfast served in bed! Your stay at the Ellis Hotel is never complete without a romantic dinner experience at the Terrace Bistro Restaurant and Lounge. With a wide range of amenities and special packages designed for couples such as couple’s massage at the Wellness Room (on the 16th floor of the hotel), a stay at the Ellis is an excellent way to spend any of your romantic holidays in The City in the Woods. 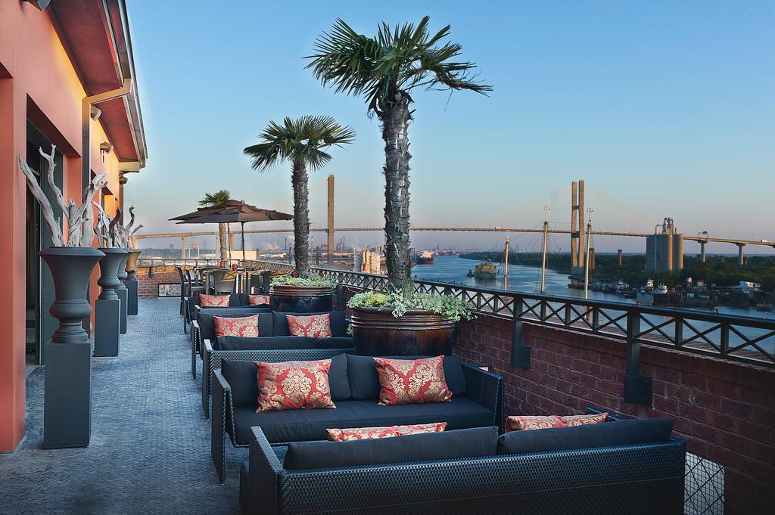 Take a trip back into the 18th century with a stay at the Bohemian Hotel Savannah Riverfront hotel. The hotel offers up to 4 room-types to select from, including the choice between a view of the Savannah of the Historic Street. The décor combines vintage and modern styles with original artwork, large headboards and marble-appointed bathrooms. 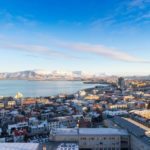 The rooms are no doubt comfortable; however, the rooftop lounge is the real highlight of this hotel. From here, visitors enjoy riverfront views while sipping delicious cocktails. Guests also have access to 2 fine on-site restaurants: Rocks on the River which features relaxed atmosphere and locally inspired delicacies from fresh ingredients. Rocks on the Roof, on the other hand, serves tapas-style food accompanied by hand-crafted cocktails. Looking for a relaxed mix of urban vibe and Southern sophistication? Well, look no further than Hotel Andaz Savannah. Located just steps from Ellis Square, this romantic getaway features contemporary accommodations with intimate balconies that overlook the Historic District. Sit back and unwind on the second floor’s terrace pool, which has a fire place, cabanas, intimate seating nooks, lounge chairs and even drink and meal service. Within the hotel is the 22 Square Restaurant that serves dishes from local ingredients. Stop by the 22 Square Bar for great drinks in a modern, yet rustic environment. The Terrace Bar serves signature cocktails by the poolside in addition to local, organic foods. Be sure to stop by at the hotel’s 24-hour fitness center for some workout. 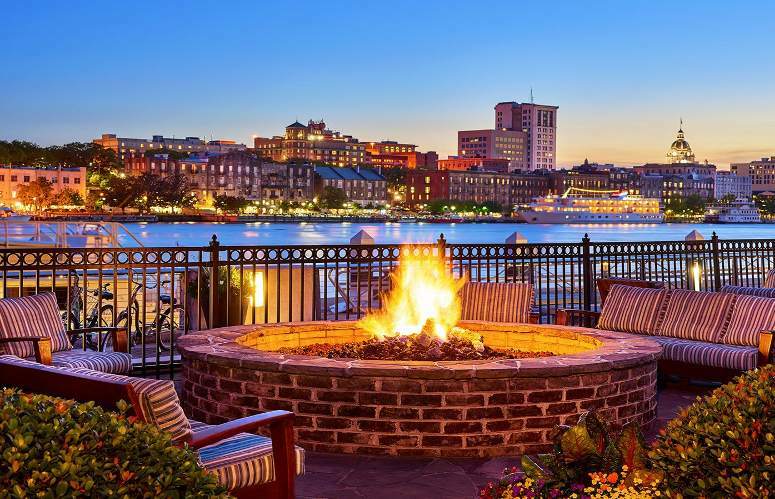 When visiting Savannah, Georgia for a romantic weekend, you will feel right at home at the Westin Savannah Harbor Golf Resort and Spa. 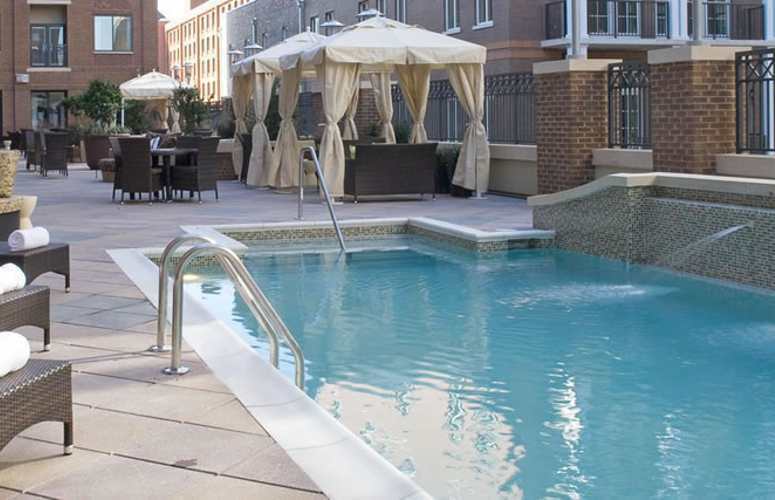 Thanks to its convenient location, the hotel offers easy access to some of Atlanta’s must-see destinations. Offering guests exceptional services and a plethora of amenities, the Westin Savannah Harbor Golf Resort and Spa is committed to ensuring that your romantic stay is as enjoyable as possible. From onsite golf course to outdoor pool, from a hot tub to couple’s massage services, there is something for everyone at this romantic getaway. Georgia is the perfect set for a romantic escape with your loved one. Whether for birthdays, anniversaries, honeymoons or any other occasion, take your sweetie to a trip to the most romantic resorts in Georgia and experience together the romantic charm of places that will sublimely reconnect you.